The other Ray sends us another “powers of ten” thingy. Same dude also sends us these creepy pics of the 5 most horrifying bugs in the world. Brother Bhash sends us this harrowing news, that the US army has once again lowered its recruiting standard… ’cause it’s a good idea to give guns to the dumbest members of society. Remember the Daily Perv Link (TM)? Well, I’ve revived it for one day only. And for this special day, you get not one, but two very special Daily Perv Links (TM), here and here. It’s interesting that in the latter story, the person caught sharing images of the transaction was more noticeably punished than the person actually engaging in the transaction. More proof that our world is, at best, odd. After that, I feel the need to leave you with something pleasant, but no less foul. 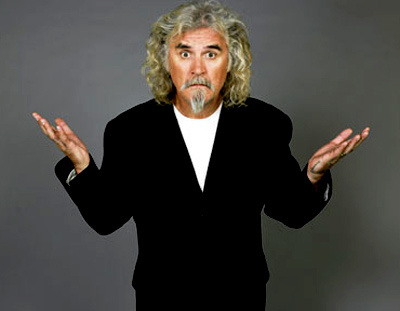 How about some Billy Connolly stand up comedy?